Royal Randwick has today sold out of all general admission tickets for this Saturday’s farewell run by Australia’s newest sporting icon, the world’s best horse Winx. 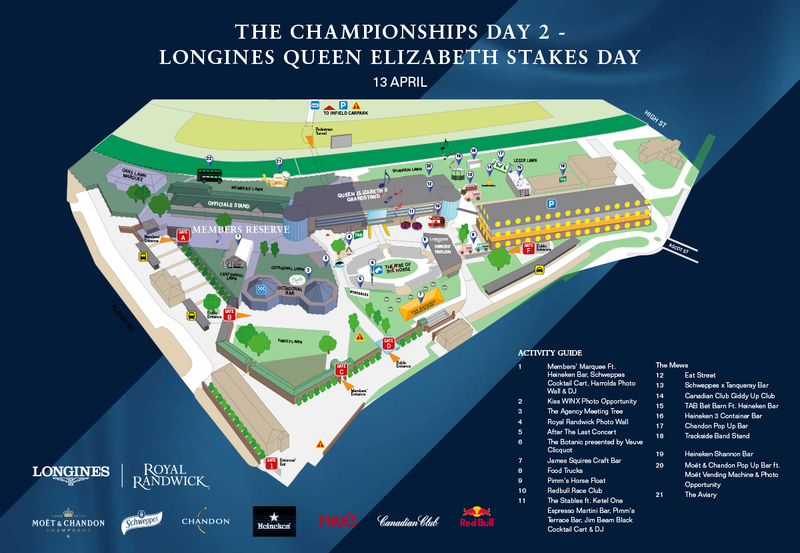 The Championships Day 2 – Longines Queen Elizabeth Stakes Day will set a modern day Royal Randwick record crowd in excess of 42,000 people once final numbers are taken on Saturday. This is extraordinary considering last year’s The Everest attracted a similar record crowd. All corporate hospitality this Saturday has been sold out for several weeks and the last of available general admission tickets now also sold out. The Australian Turf Club had closed its Membership in January ahead of record-breaking crowds at this year’s Sydney Autumn Carnival at Rosehill Gardens and Royal Randwick. The Australian Turf Club has created extra general admission spaces for this Saturday including the TAB Bet Barn on the Leger Lawn, along with extra capacity across ATC Members Reserves. View What’s On for more information. Winx’s final run in the Group 1 $4 million Longines Queen Elizabeth Stakes will also be watched off course by tens of millions of viewers around the world. Australian Turf Club Chief Executive Jamie Barkley said Sydney and Royal Randwick was ready to host a moment in Australian sporting history. “General admission customers and Australian Turf Club Members who have locked in their tickets for Saturday are set to witness a momentous day,” Mr Barkley said. Travel on all NSW Transport services this Saturday is included in the price of general admission tickets and for Australian Turf Club Members. Patrons are being urged to arrive early at Royal Randwick this Saturday – Australian Turf Club Members gates open at 9.15am and general admission gates at 10.00am. Race 1 is due to start at 11.25am, and Winx’s final start in the Longines Queen Elizabeth Stakes will be race 7, to jump at 3.05pm.